Let me start by saying there is nothing more inspiring than seeing alumni from your college who are so talented and successful in their post-grad life. This was my first time ever attending this event and I was not disappointed at all. I took the leap of faith by registering for this event not knowing what to expect or if I would even enjoy myself. NYC Career Connections surprised me in more ways than one and I am so happy I had the chance to do something like this. The day is broken up into two portions: a day session and an evening session. The day session I was selected for was NBCUniversal Studios with Jason Kornweiss, class of ’96 alum, who is the vice president. The NBCUniversal is located at 30 Rockefeller Plaza in midtown Manhattan. Luckily, I only live 30 minutes from the city so it was an easy commute. The building is absolutely stunning, inside and out, with state of the art technology throughout. My group was brought to the 9th floor to a conference room where Mr. Kornweiss greeted us with free hats and treated us to a full spread of food! The best type of welcoming if you ask me! Mr. Kornweiss gave us a quick presentation on his time at SUNY Oswego, giving a special shout out to the WTOP members in our group. He explained how WTOP allowed him to experience many different aspects of broadcasting, both behind and in front of the camera that ultimately landed him where he is today. After his presentation our group was given a tour of the studios by 2015 alumna Bridget Jackson who is working for NBCUniversal in the Page Program! This part was really fun and definitely something I never would have done if it weren’t for this event. We explored many of the studios in the building from Late Night with Lester Holt, The Tonight Show with Jimmy Fallon, SNL and various control rooms. Although I am not a broadcasting major it was all very interesting to get a behind the scenes look at what it takes to run these sorts of operations. Following her speech, the 33 other alumni from 1978 to as recent as 2015 introduced themselves and their particular job field. Everyone then had the chance to individually meet with whom they wished to speak with. I took away great tips on how to prefect and tailor my resume for certain jobs as well as my LinkedIn profile. This was truly an amazing experience that I believe has shaped me that much more into the PR professional I wish to be. College is a once in a lifetime experience, and, of course, anyone would want to make the most of it. But a part of this experience, unfortunately, is stress. I’m juggling a course over load (over load of homework too! ), PRSSA meetings, a job and a social life, so I am no stranger to stress. I’ve had a pretty hectic week. This tends to happen occasionally, but I’m at the point in my collegiate career where I now know that not everything is going to be the end of the world and life will go on as it always does. So, whether you’re a freshmen still discovering how this whole college thing works or a senior getting ready to graduate, I want to share with you guys some tips to manage stress! Stay Organized! This is key! Professors give you a syllabus for a reason. Most tend to have a schedule of due dates for assignments and exams. Know what is coming up so you’re never caught off guard. I also recommend having a planner to stay on track. Prioritize. Now that you know that your syllabus is your best friend, all you have to do it prioritize based on when assignments are due and roughly how long it will take you to finish the assignment, project, etc. Use Free Time Wisely. I am more than guilty of scrolling through Twitter instead of reading a textbook chapter in between classes. Don’t be like me! Try to utilize free time wisely. 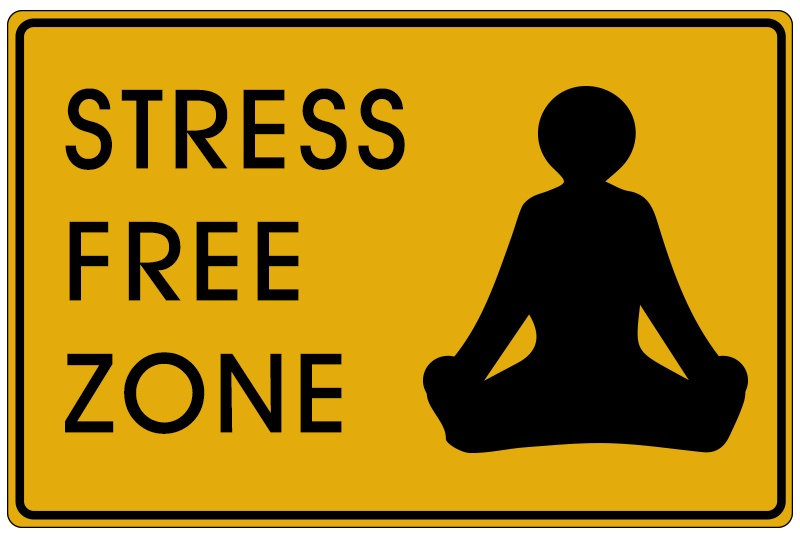 This will benefit you in the long run and reduce the likelihood of you being stressed out. Future you will thank you. Find Studying/ Work Habits That Are Best For You. What I mean by this is to immerse yourself in a setting that will allow for you to focus and perform to the best of your ability. For me, I need a quiet room that’s devoid of all distractions. I’m so easily distracted that it’s impossible for me to work with other people around me. It took me until my junior year to realize that I was actually hurting myself by studying with my friends because I would spend more time talking to them than actually studying! But if studying/ doing homework with your friends helps you and gets you motivated, go for it. There’s Always Someone To Listen and Help. If you ever feel as though you are overwhelmed, talking through your issues is a great way to feel better. Fortunately, SUNY Oswego offers counseling services at the Mary Walker Health Center on campus. It’s free and confidential. Decompress. This is the most important. Sometimes stress can be a little overbearing and I don’t know where to start first. When this happens take a deep breath, relax and do something other than work. Simply do things that make you happy. Trust me, this will go along way. If you’ve been cramming for an exam, take a nap. Your brain works a whole lot better when you’re not running on fumes. Hang out with friends. You’ll find they’re probably dealing with the same things you are and it’ll feel better talking about it. Watch Netflix…Yes I’m saying it’s okay to ditch the homework for some House of Cards. Hope these tips can help you guys in the future! Always remember that your mental well-being is more important than any grade on a test! Hi everyone! My name is Shanna (Shay-nuh) Mansfield, I am a Public Relations major with a minor in English. I’m from a town called Pearl River in Rockland County, just outside of NYC. So, I’m going to take it back to my senior year in high school. Unlike most of my peers who had been applying to colleges since the beginning of the year I hadn’t applied to any. Nope, not a single one. I had absolutely no direction, no idea where I wanted to go, what I wanted to study or who I wanted to be. A couple months before graduation, I applied to my local community college, RCC, and was accepted. Better late than never. While at RCC my freshmen year I had tons of free time on my hands, which I used to visit friends who had been whisked off to different colleges. My first visit was to our very own SUNY Oswego! I fell in love, I’m talking head-over-heels love and there was no turning back for me. I loved the atmosphere, the vibe, the campus, the beautiful and breathtaking lake. THIS. This is what I wanted. I couldn’t get enough and I never wanted to leave. But of course I had to, if I could’ve hid in my friends dorm room for the rest of the year, oh believe me I would have! Throughout the year I had visited other schools, but nothing left me feeling the same way Oswego did. So I began my transfer application to SUNY Oswego and was accepted! I transferred in my sophomore year (better late than never). However, I still lacked that direction that everyone else around me seemed just instinctively have. It wasn’t until last year that I had finally decided my major, once again, better late than never! It was with the guidance and help of a dedicated advisor and truly inspirational professors that I was able to find myself and my direction, and realize new dreams and aspirations. It may have taken me longer than some to get to this point, but the best decision I have ever made was making SUNY Oswego my home away from home. Better late than never.